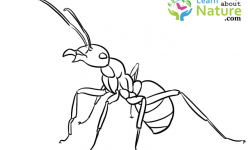 Queen ants are fully developed ants that reproduce female ants in a colony of ants. Generally, the queen ant becomes the mother of those ants in the colony. Certain female ants never require mating in order to bring forth offspring, they reproduce through cloning or asexual parthenogenesis where every newborn is a female. Another variety of ants that belong to the Crematogaster genus, mate through a marriage journey by nuptial flight in the air. They produce larvae, which the worker ants feed with zeal to make them sexually mature, soon. In some varieties, based on their species, it is possible to have one mother queen or several hundreds of fertile queens capable of being developed. 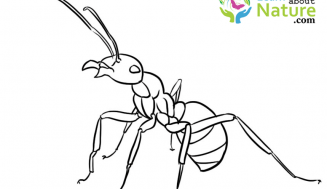 Of all these insects, the lifespan of the queen ant is the longest, say 30 years. It is the queen ants that found all colonies. With a single mating she remains fertile for years during which time she is capable of laying millions of eggs. There are other Queens that lay 1000’s of eggs daily. 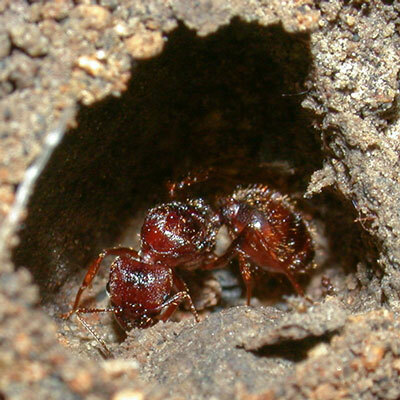 When the queen ant that was recently fertilized, detects a convenient site for a home, she will dig a tunnel on her own that leads to a tiny compartment. She then seals herself inside the compartment and until compelled, she refuses to come out into the sunshine once again. Thereafter, she lives a life in complete darkness and from then on, becomes very sensitive to sunlight. It is possible for the new queen to lay eggs immediately (not all species do), if not she waits till spring. 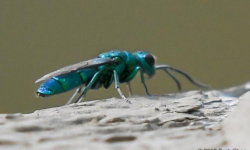 However, if she lays eggs immediately, and the weather is mild or warm, then within 8 to 10 weeks the eggs get hatched (note that this is all about Lasius Niger. Other varieties do take varying periods of time for developing their clutch). An ant colony becomes lifeless in the absence of a queen ant, since she accounts for the reproduction. The Endurance of a colony in the absence of a queen ant is impossible. 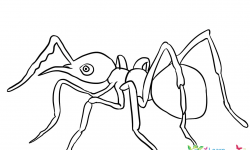 If you want to rid yourself of an ant problem, you must know how to attack the prime source of the problem, which is the Queen Ant, from the ordinary ants. They are the colonies’ most valuable associates, since they guarantee the life of their brood. 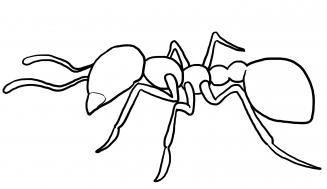 Irrespective of the species, the queen ants are always larger than the other ants in a colony. Queen ants in particular do not hunt for food. Instead, they use the proteins from their decayed flight muscles that they keep as buffer stock for food. 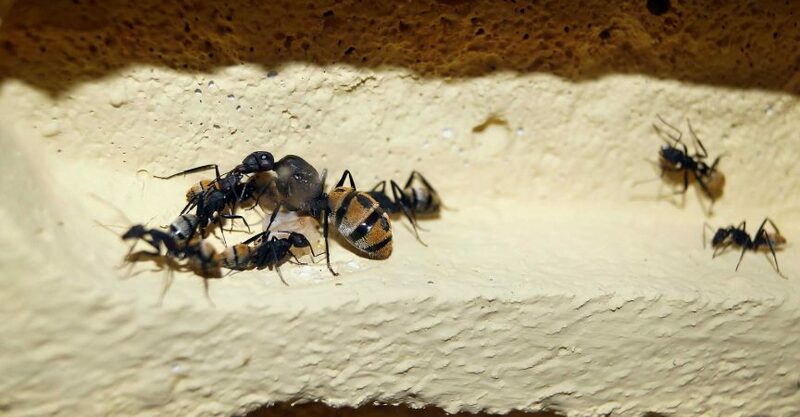 When the first clutch of the colony matures into adults, they retrieve the food for their queens. 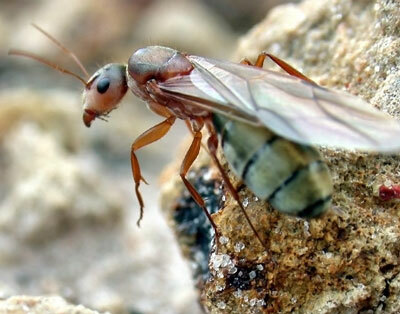 Most of the species of male ants and queen ants require wings to fly, since several species need to go out of their nests in search of alien mates yo form colonies a bit far from their homes. Irrespective of their variety, to identify queen ants is easy has they are normally bigger than the remaining colony inmates. 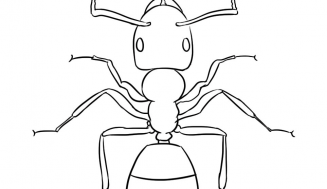 One can easily recognize a queen ant from the others by their stouter bodies. 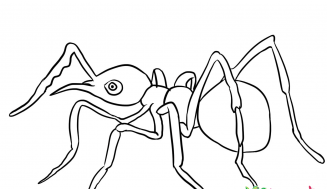 They have bigger abdomen, when compared to the other ants. Their wing muscles are peculiar in standing with their species. It is the queen ants that should lay eggs; most of the worker ants of any species are unable to lay eggs or are prevented from doing so. It is the duty of the queen. In most of the varieties, the queen ant lays sufficient eggs for the production of enough number of worker ants that are vested with the deeds of foraging, constructing nests, nurturing the queen’s or queen and minors, and also for bringing up the young ones who emerge to initiate new colonies of termites or ants. Only some of the females who have wings are eligible for being the subsequent queen. The remaining females become soldiers and workers. Normally, the queen remains safe and deep inside the nest. Most of the ant varieties dwell in the soil. 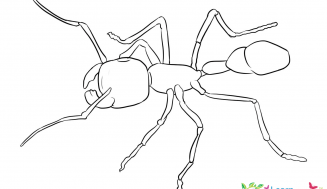 Certain ants take shelter in plant cavities, like galls, twigs and acorns. The designation ‘queen’ does not suit it, because the queen ant hardly has any power in the colony, except to reproduce. When the colony is established, the queen ant continues laying eggs. Of the varieties that reproduce sexually, the queen decides to fertilize eggs at will, using the sperm cells that they obtained during their nuptial fliqhts. Here they produce only female worker ants and not male ants. In case the workers feed the pupae and eggs well, they could produce more queens. . Of the ants that are not sexually reproduced, all the ants in the colony are females. All the ants in a colony are delivered by the queen ant.